Do you like strawberries? This ice cream decal is ideal to decorate your kitchen! 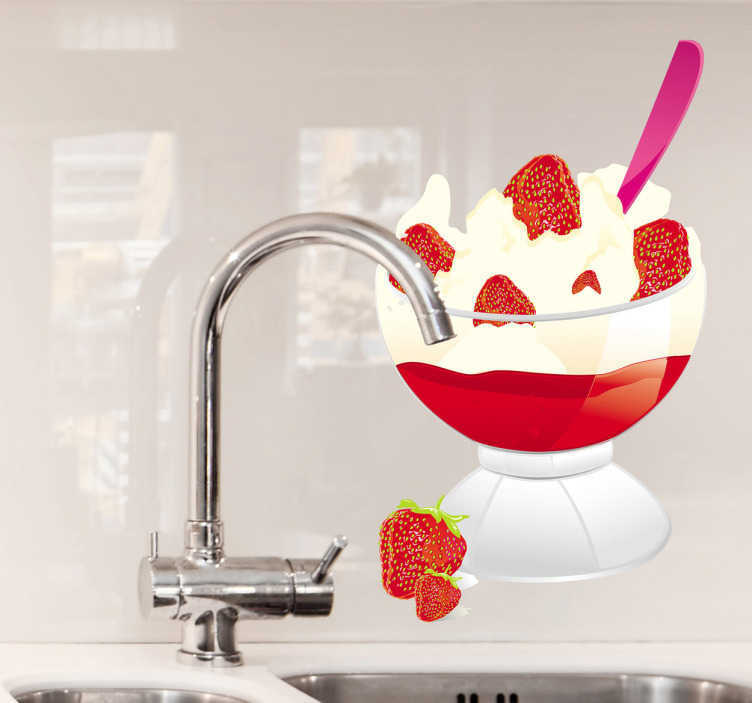 Brilliant strawberry wall sticker for those dessert lovers! Do you want to feel creative in the kitchen? This design will inspire you to experiment with food! Create your own dessert in the right atmosphere. Made with easy to apply anti-bubble vinyl.